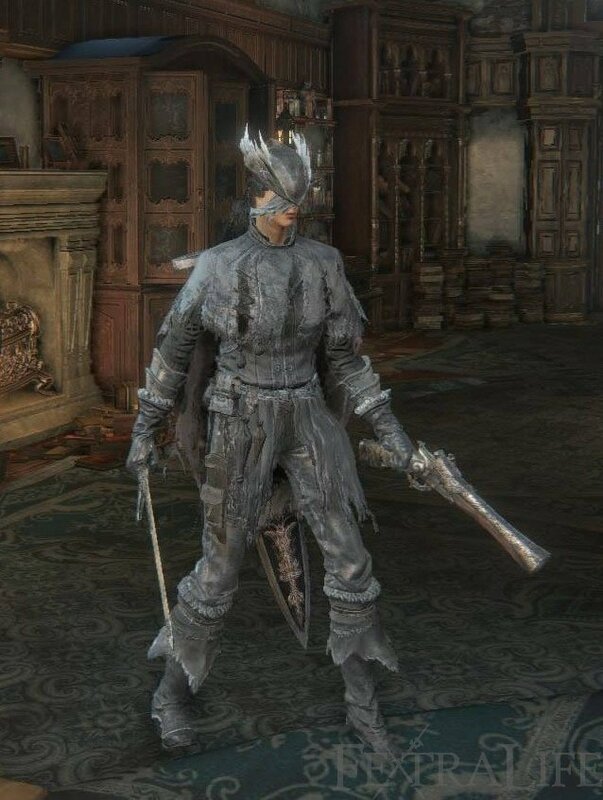 Ashen Set is an Attire or Armor in Bloodborne. "One of the standard articles of hunter attire fashioned at the workshop. 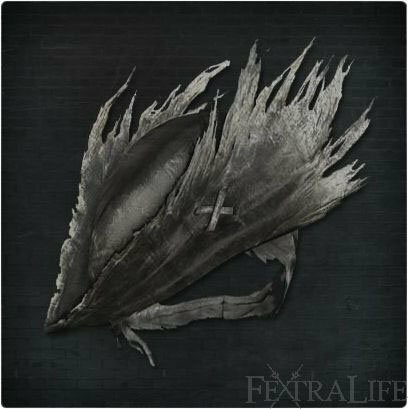 A fine piece of hunter attire that provides stable defense to anyone facing Yharnam's beastly threat." Can be bought from the Insight Messenger shop for 6 total Insight after killing Djura. This is true whether or not you befriend him at first. Has the 2nd highest Beasthood among all attires, with the Brador set beating it by 28 points. The garb piece on the other hand has the highest Beasthood, surpassing Beast Hide Garb. Has the highest Frenzy resist among all attires, minus the headpiece, which is surpassed by Beak Mask from the Crowfeather Set. Decent physical and blood defense; low arcane and fire defense overall.